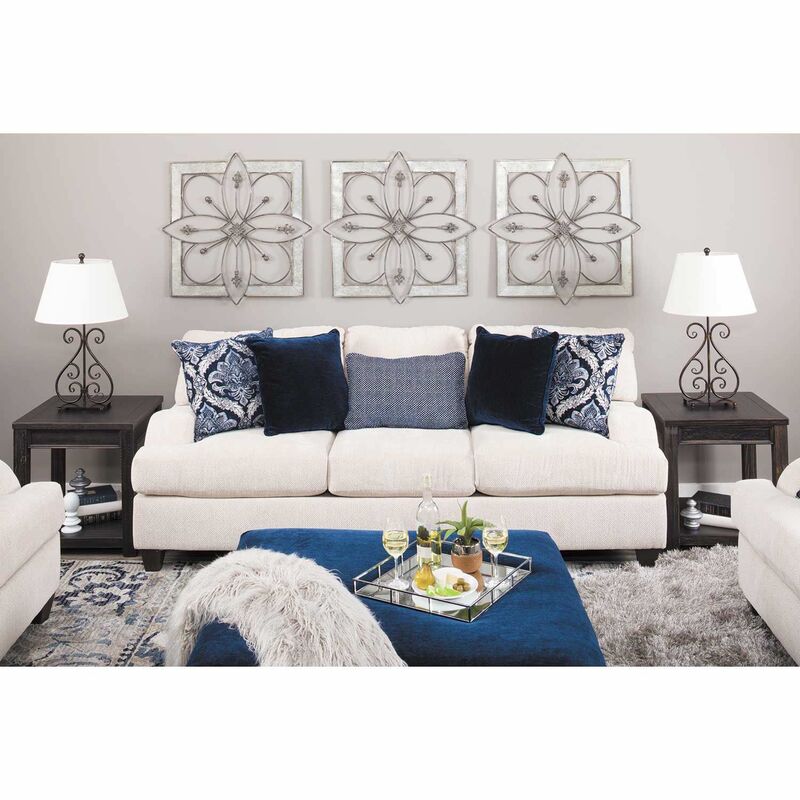 With its timeless silhouette and sophisticated look, the Sophia Stone Sofa by United Simmons Upholstery is sure to bring casual elegance to any home. 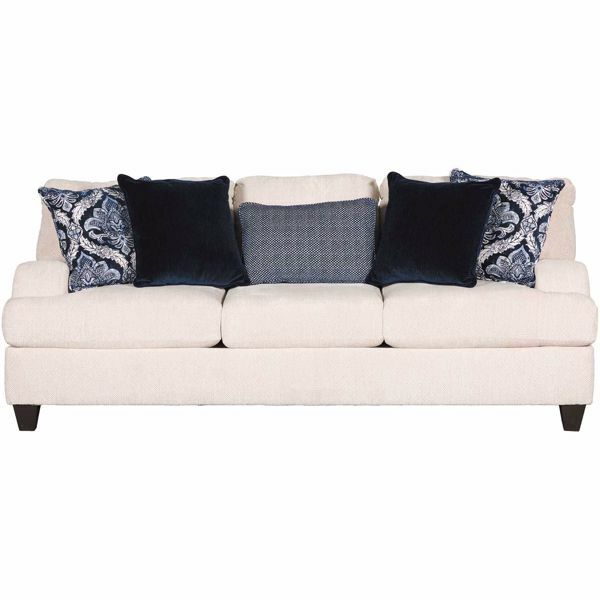 This sofa features simple lines and Charles of London arms with a contemporary twist for a polished and inviting feel. 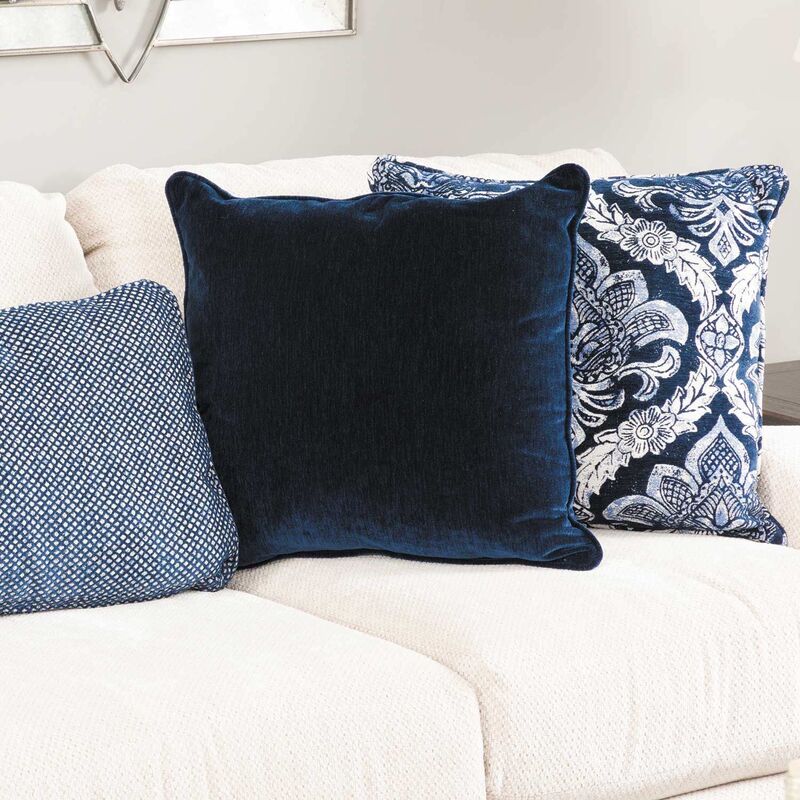 Five accent pillows in rich blues perfectly accent the stone color of the upholstery. 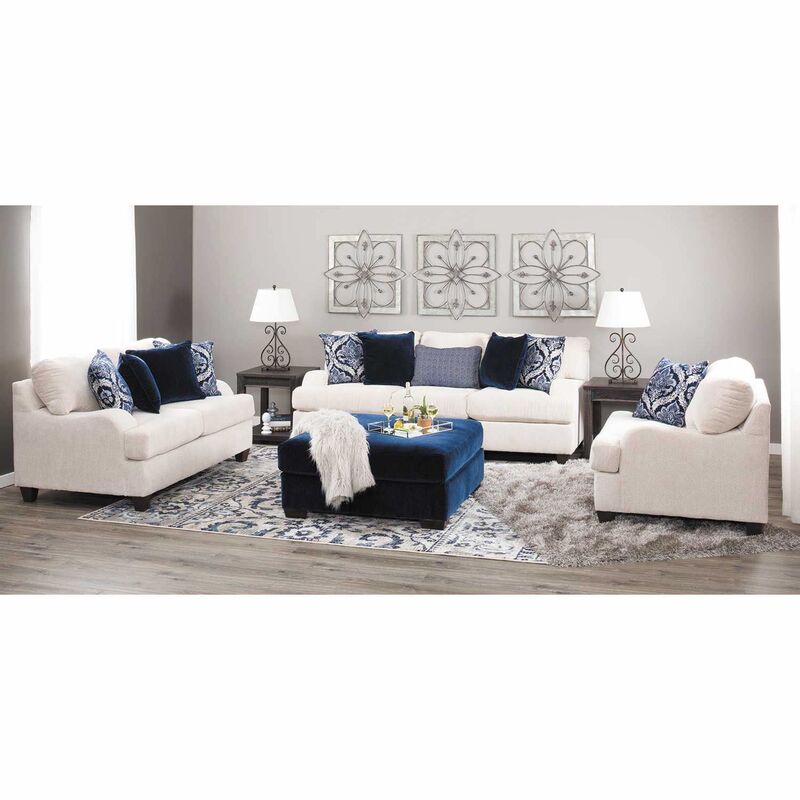 With its timeless silhouette and sophisticated look, the Sophia Stone Sofa by United Simmons Upholstery is sure to bring casual elegance to any home. 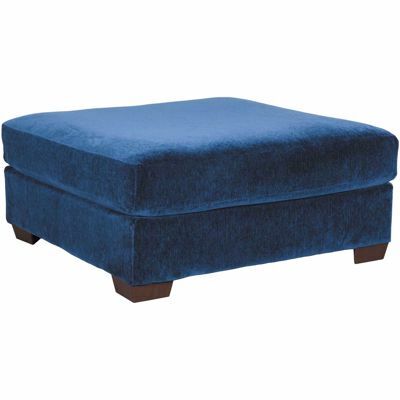 Sophia Stone Sofa from United Simmons Upholstery. 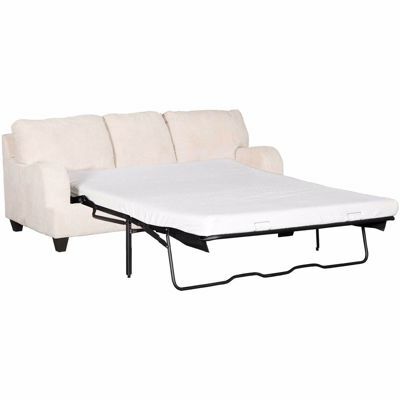 Sofa is covered in a stone-colored, 100% polyester cover. Includes 2 solid, 2 medallion print, and 1 kidney accent pillow, not sold separately.